What an elegant and unusual presentation for this cymbidium orchid. 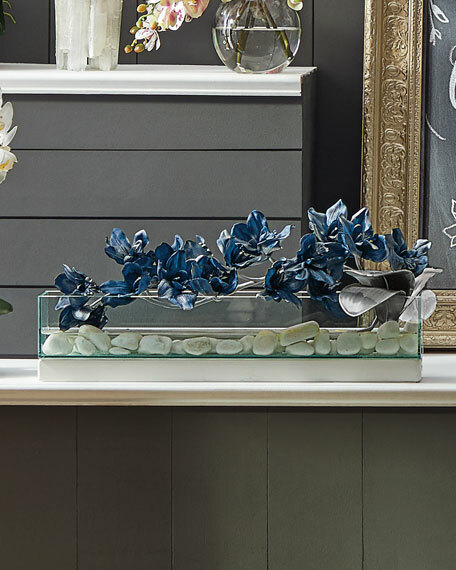 The pewter finish on the orchid gives this arrangement a very modern look. 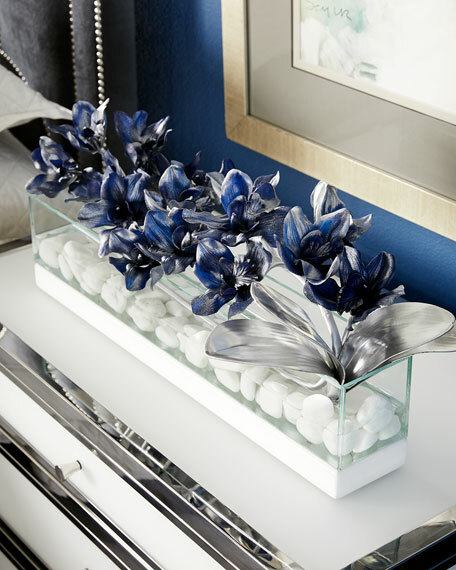 The orchid floats above white marble rocks submerged in acrylic water. The glass container sits on a white finish platform. Made of clear glass, painted wood composite, marble stones, polyester/silk floral and acrylic water.